Prepare the brownie batter as directed on the box (or you can make it from scratch). Pour the brownie batter into the prepared pie crust, making sure not to over fill or fill to the top as it won’t bake well. 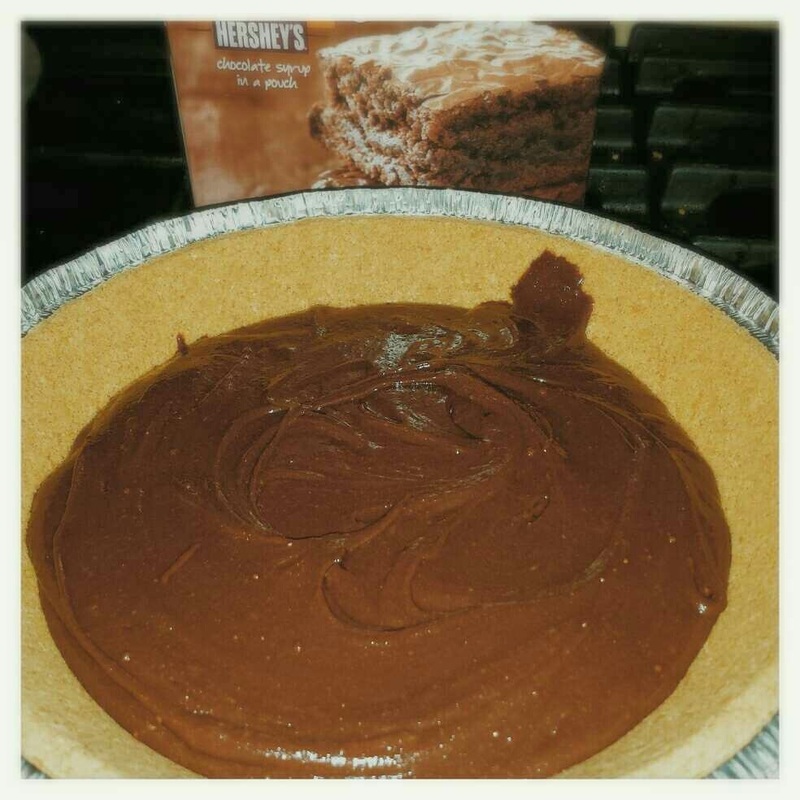 Bake the brownies for about 35 minutes in the oven at 350 degrees or until almost fully baked. Spread the peanut butter on the brownie while it is still hot (it will get melty). 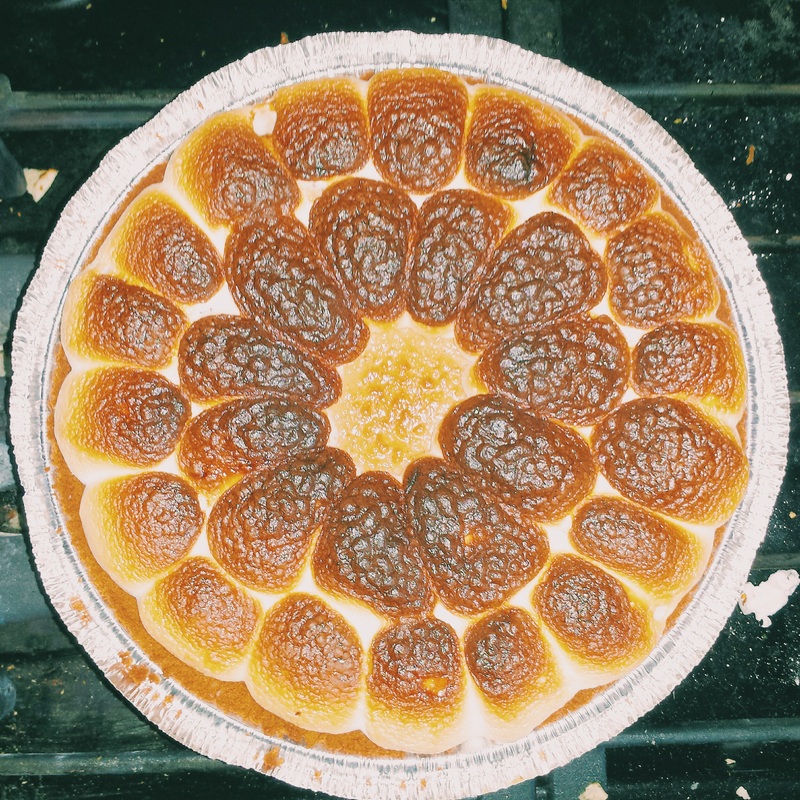 Then cut the marshmallows in half and line the cake pan with two rows of marshmallows. 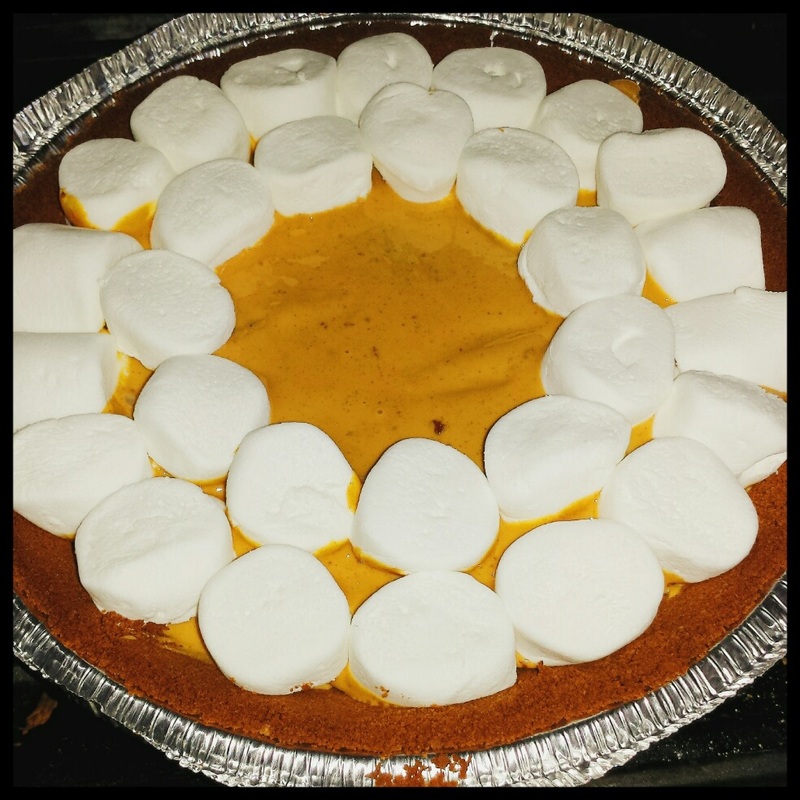 Next, place the pie back into the oven for 3 minutes or until the marshmallows have browned. OR if you have a food torch, you can bake the brownies for about 38 minutes and then torch the marshmallows until they are toasty. Bon appetit! 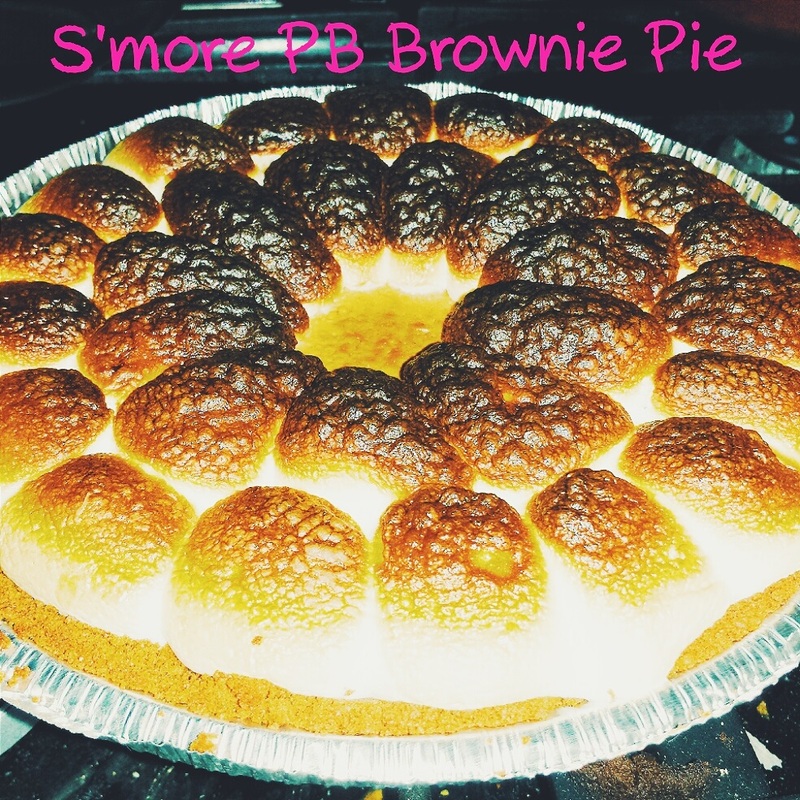 If you want a simple recipe, you can always omit the peanut butter and marshmallows! Have you ever tried to recreate a dessert you had at a restaurant? ?